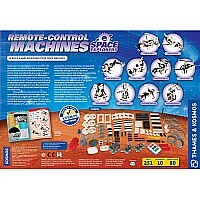 Ready your courageous robots for a mission to the moon, Mars, or beyond! 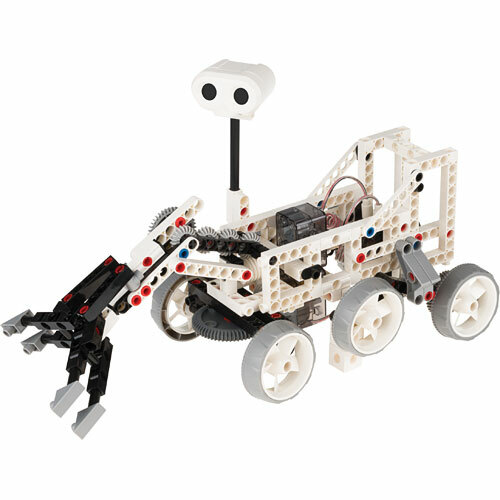 With this engineering kit, you can build a remote-controlled model of a robotic rover resembling the ones used to explore Mars. 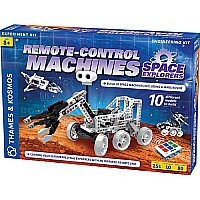 Deploy your Mars rover in the backyard or sandbox and use the remote control unit to survey the uncharted terrain! 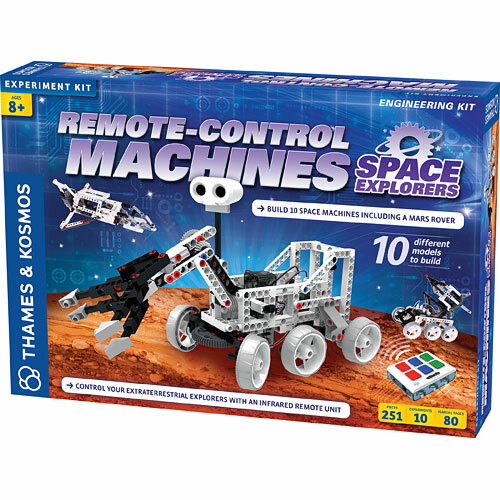 The remote can control up to three motors, which move the rover back and forth, turn the wheels to steer the rover, and control the robotic arm to pick up extraterrestrial specimens like small rocks. 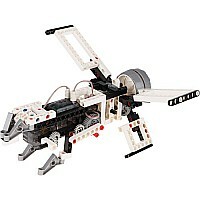 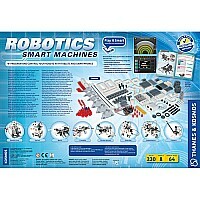 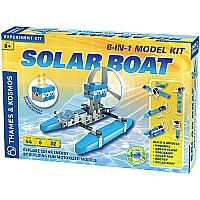 This 237-piece construction set includes instructions to build not only the robot rover, but nine additional space-themed models as well, including: a lunar rover, rocket launcher car, space shuttle with opening and closing cargo bay doors, robotic space shuttle payload arm, moon lander, wacky astronaut, satellite, mars station, and cross-wing flyer. 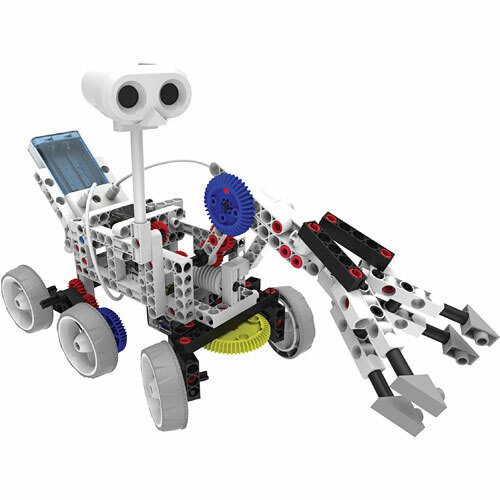 Kids will be inspired to learn various STEM skills through these fun, hands-on construction projects that bridge two captivating interest areas: robots and outer space. 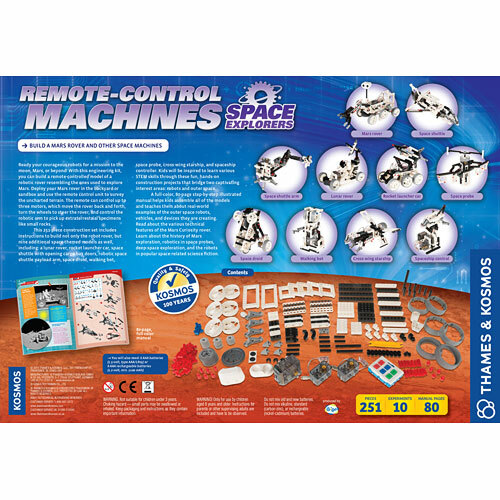 A full-color, 64-page step-by-step illustrated manual helps kids assemble all of the models and teaches them about real-world examples of the outer space robots, vehicles and devices they are creating. Read about the various technical features of the Mars Curiosity rover. 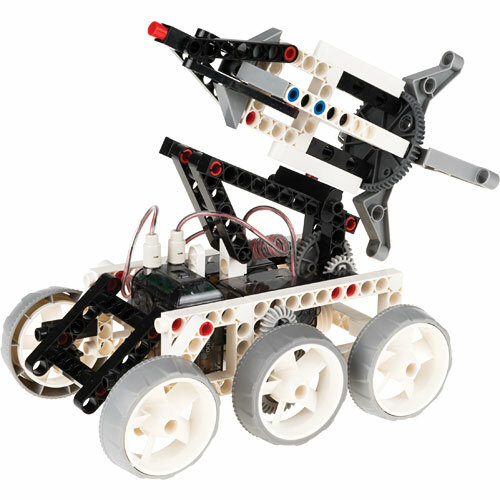 Learn about the history of Mars exploration, robotics in satellites, deep-space exploration, and the robots in popular space-related science fiction. 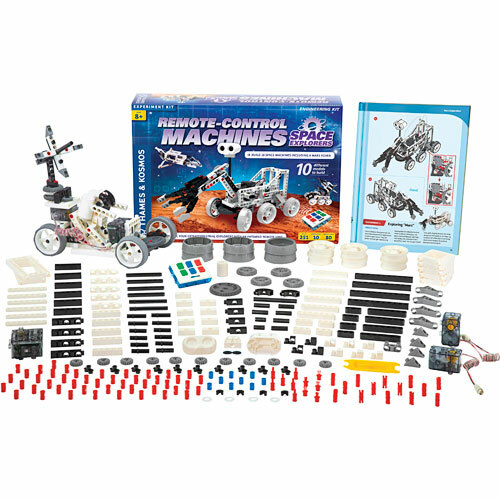 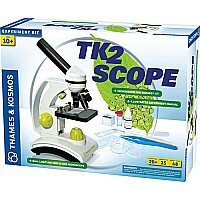 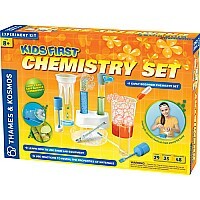 This kit is perfect for every kid who is fascinated by the prospects of being an astronaut, colonizing the moon, or being the first human to land on Mars.